Summer months are a great time to relax and recharge, but forward-thinking sales leaders are always looking to the future and planning to break sales records and maximize the growth of their modern sales organization. With this in mind, there’s no better time to plan to hit next fiscal quarter than when everyone else is at the beach, which is why we’ve put together the best hiring and onboarding advice straight from our successful eBook, Hiring Superior Salespeople. These comprehensive and info-packed reads are full of advice and insights from the thought leaders here at Skaled. We break down how sales executives can hack their onboarding process to bring reps up to speed more quickly and help them meet their targets faster; how to give successful and useful feedback; the future of tech in sales hiring; the kinds of qualities that modern sales leaders should have in order to lead their teams to success; and much more. Even the most driven sales reps won’t be able to deliver results if your senior sales executives don’t have the right qualities to lead successfully. According to a recent Randstad survey, it takes an average of five months to fill leadership roles, which means that hiring the right leader from the get-go is critical. What kinds of qualities should you look for in your next sales leader? How can you tell them apart from your pool of candidates? We’ve laid out the six qualities that you should be looking for during hiring, onboarding, and promotions within your organization that will help you hire driven reps who will impact your bottom line. Most sales interviews focus on traditional questions designed to gain a better understanding of a candidate’s experience, skills, and ability to close deals and get results. These things matter, of course, but what modern sales leaders should be looking for while interviewing for new sales talent goes beyond their ability to close deals and generate leads. Interviews are the best way for leaders to determine not just if a candidate can do their job successfully, but also if they have the right attitude, personality traits, and qualities that make them a great fit for your organization. Will your next sales hire integrate seamlessly into your company’s culture and fall into lockstep with the rest of your sales team while finding those qualified leads and closing deals? Our post will show you what to look for in your next hire. Buyers have more tools to do research and keep themselves informed than ever before, which means that sales organizations need to be adapting to these changes to keep generating qualified leads and closing sales. We lay out the new tools and tech that are changing how modern buyers are making purchasing decisions and how sales leaders can use emerging sales tech to integrate technology into their sales strategy. We’ll also explain how diversity within teams can enhance performance, how the power of localized data tracking is driving change in the modern sales landscape, and more. Giving effective feedback that gets the results you want while supporting your sales team and increasing productivity can be hard for even the most seasoned sales leader. Our Principal Deb Berman shares her expertise and thoughts on some of the most common questions she hears when it comes to providing feedback to members of a sales team. Whether it’s positive, constructive, or difficult, her post acts as a guide to help sales leaders support their teams while delivering feedback that drives action and yields results. 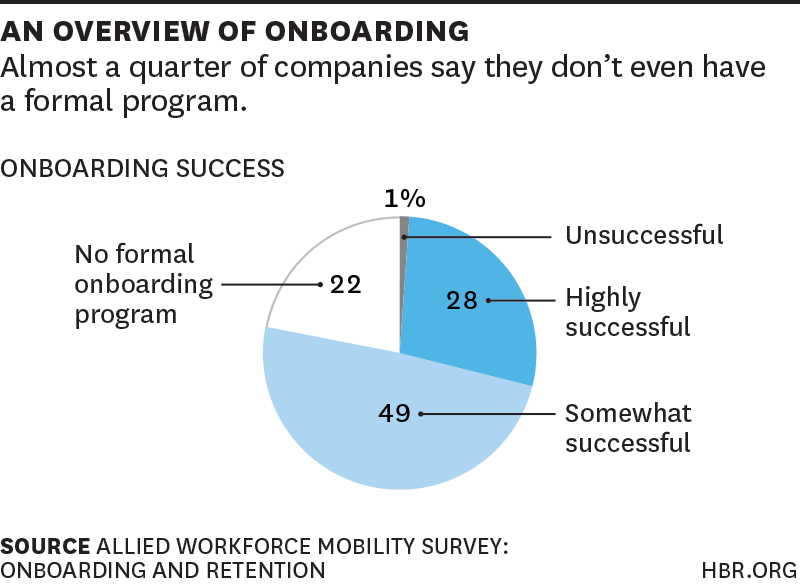 Are you one of the 22 percent of companies that have no formal onboarding program for new hires? Then this post is for you. Developing or fine-tuning your well-rounded, multi-faceted onboarding strategy can help your sales organization become the process-driven, deal-closing company that you know you can be. Use our insights to help train future sales leaders better, faster, and more efficiently. One of the biggest challenges facing any new company is knowing when to grow, and knowing how to do it without imploding your organization by hiring the wrong talent. Instead of playing a guessing game and gambling your organization’s future, CEOs and sales leaders should use this post as a guide to scaling efficiently and hiring the right talent for their sales team the first time around. Deciding whether to promote internally or hire externally is a challenge that any leader will eventually have to overcome. Sales executives need to be able to assess whether they should be promoting their high-performing sales reps, or whether they should bring in outside talent to lead their existing team of successful reps.
We’ve done the research and uncovered the pros and cons of promoting existing sales talent from within your team versus bringing in talent from outside of your organization. Our findings may surprise you. As a top sales leader, you’ve done your due diligence and hired a sales rep who understands your company and has the right skills and attitude to find qualified leads, close sales, and move your organization forward. Now, it’s time to measure their success. Modern sales executives know that tracking KPIs like revenue per rep and lead response time is critical to locking in successful sales strategies and contributing to the overall success of your sales team, but how can you accurately measure where new hires are succeeding, and where they’re falling short? Use these 3 KPIs to track the effectiveness of your current onboarding process, increase ramp time, and optimize your sales process. Developing a successful hiring and onboarding process is critical to the success of any modern sales organization. By downloading our ebook you can gain access to industry insights and expertise and find actionable, high-quality content to help your modern sales organization succeed at every level. Download our eBook Hiring Superior Salespeople for free now.